The new LiKAMED sensation in the mattress range! The special gel cover makes it possible to position any weight class without difficulty. The new mattress covers all requirements. 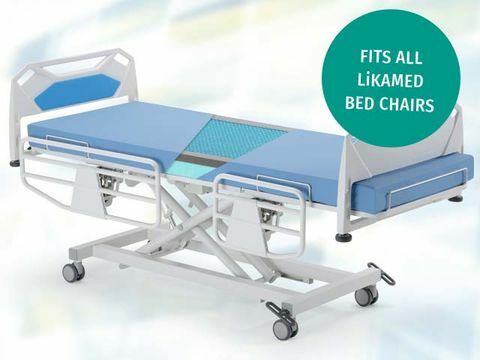 With the 3D adjustment capacity the anti-decubitis mattress offers a high degree of pressure relief and is suitable for use with decubitis patients. The unique material is yielding, soft and at the same time provides support for the body. The Anti-Decubitis mattress with its unique formula can also regulate the body temperature for comfort at all times.